What is our son hugging and kissing in this picture? Is it a new toy? 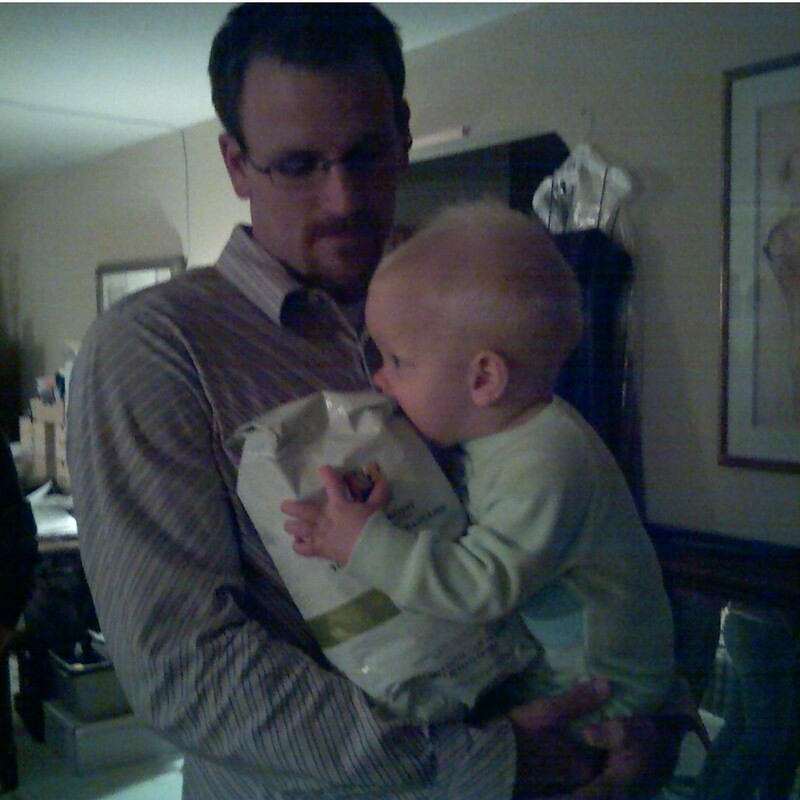 Some sort of delicious treat for babies? I can’t really make it out…and is that a beaming look of pride on my husband’s face? Oh, good, Calvin moved his arm so we can see the object of such great affection. Wait…these cell phone cameras aren’t very clear…that can’t be what it looks like. Well, look at that, it is what it looks like. I guess the male Starbucks gene is a strong one. 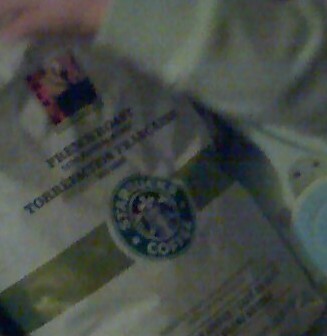 Starbucks desire is indeed a dominant trait! gee – now we’re having to buy for four addicted coffee heads….I should have bought stock in the stupid compnay when it was cheap! You can never start them too young. Mmm…coffee…just remember to tell Calvin that it will stunt his growth. At least, that’s what they told me. That’s why I’m so short, I guess . 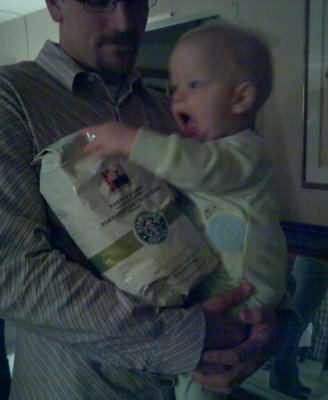 Yay for addictive stimulants for young children! Looks to me like he’s more interested in the packaging than in the contents. Unless the packaging is made from an intense process wherein the leftover grounds from brewed coffee are supplanted with fibers from the coffee bean plant in order to create a smooth waxy paper that will hold the fresh beans until they are ready to be used. I mean, it’s possible.